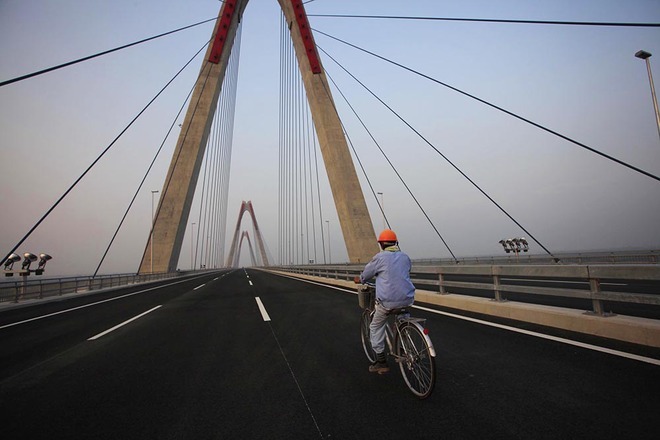 VietNamNet Bridge – The construction of the Nhat Tan cable-stayed bridge started in 2009 and is one of the key transportation projects in Hanoi. 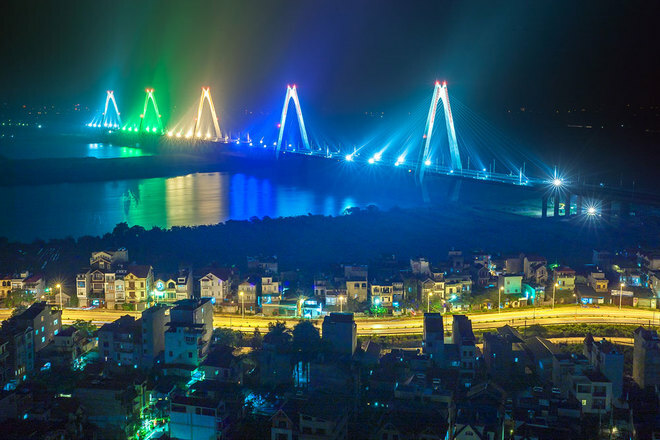 Nhat Tan Bridge is on Belt Road 2 of Hanoi, starting at Phu Thuong Ward (West Lake District), running parallel to Lac Long Quan Road. 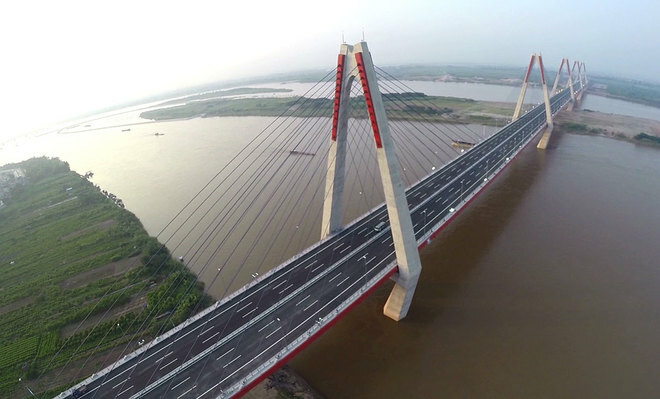 After crossing the Red River, the bridge cuts Highway 5 at Vinh Ngoc intersection and heads towards the north and ends at the intersection with Nam Hong Road in Dong Anh district. 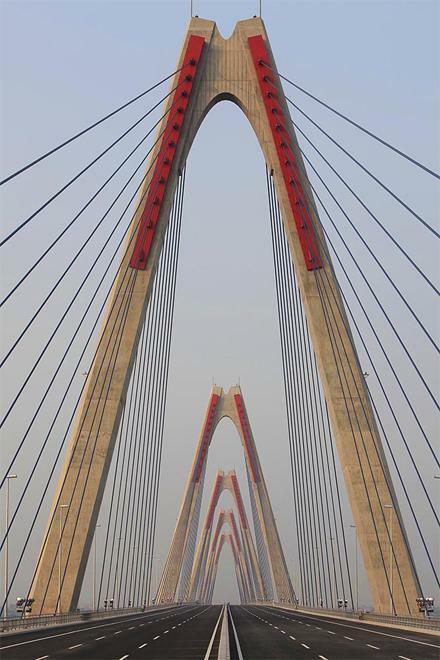 Nhat Tan Bridge has a total length of 8.3 km, including 3.7 km bridge, with 1.5 km cable-stayed bridge with five spans crossing the Red River. The bridge is 33.2 m wide, divided into four lanes for motorized vehicles, two lanes for buses, two lanes for mixed vehicles and pedestrian paths. 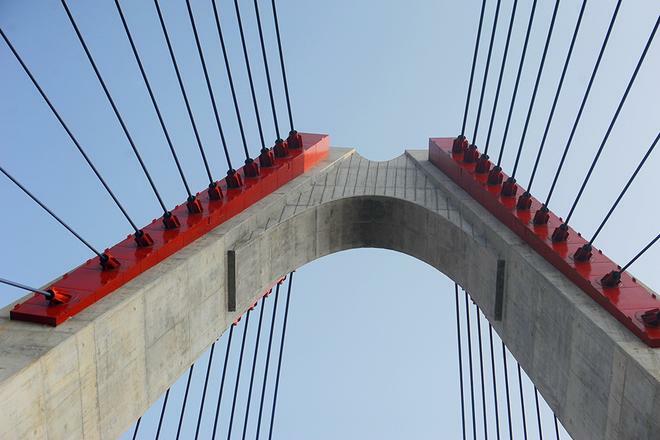 Each span has 11 pairs of cables. 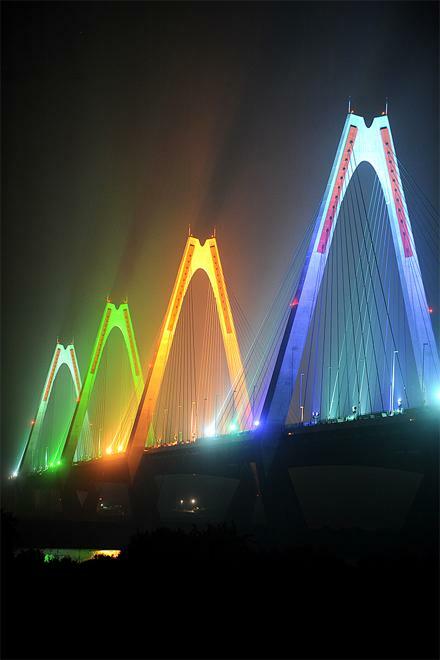 Nhat Tan Bridge is designed and built to become a new icon of the capital, with five towers symbolizing the five ancient gates of Hanoi. 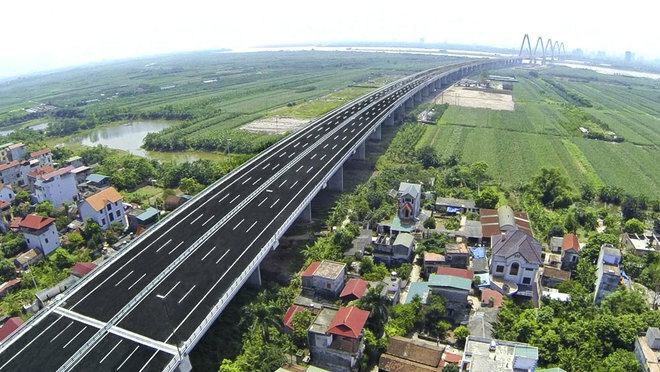 In a meeting with Transport Minister Dinh La Thang, Japanese Ambassador Hiroshi Fukada said that this bridge is a symbol of cooperation between Vietnam and Japan and suggested renaming the Nhat Tan Bridge to the "Vietnam - Japan Friendship Bridge". 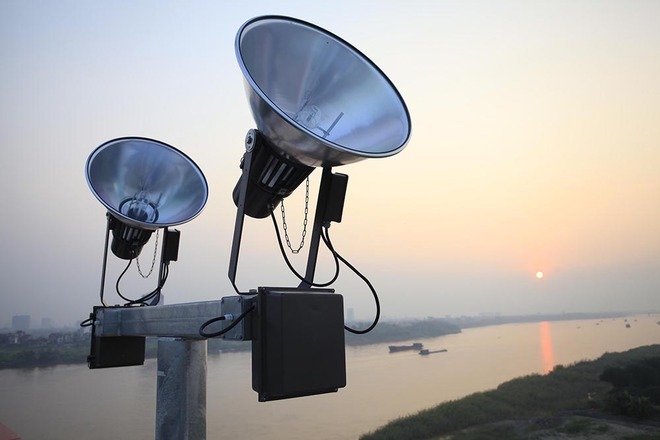 However, according to the Hanoi Party Secretary Pham Quang Nghi, the naming of this bridge must comply with the regulations. 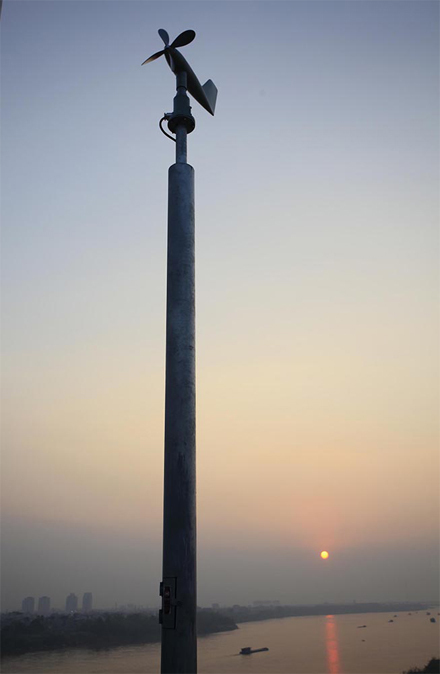 The fan system measuring wind direction, serving the adjustment of the cables. 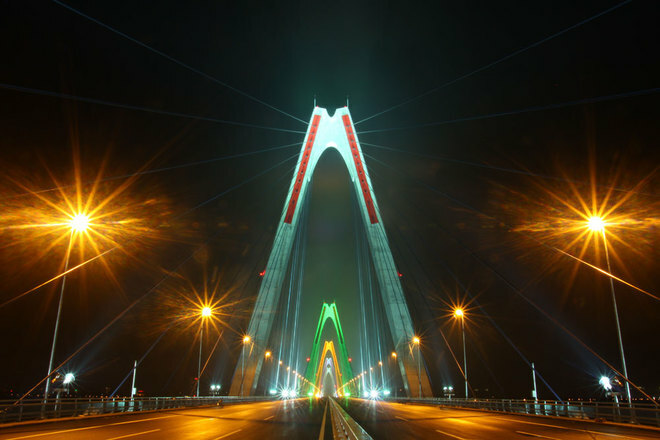 All five span towers are illuminated at night. The roads at the two bridge heads allow vehicles to run at a speed of 80km/h. When the work is completed, it will connect the city center with industrial zones in the north, and complete the beltway No. 2 as well as shorten the distance to Noi Bai International Airport. 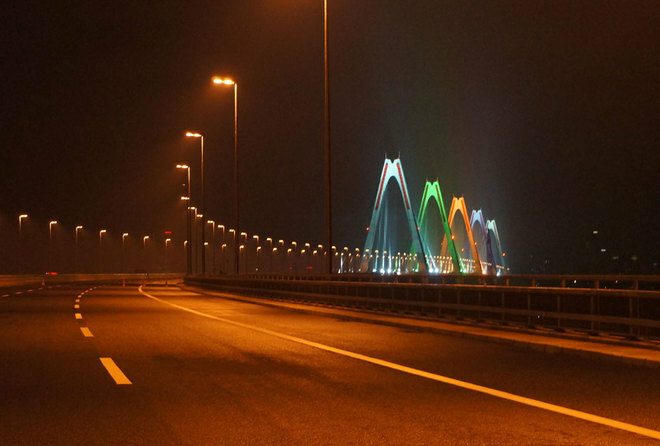 The Nhat Tan Bridge is beautiful at night.